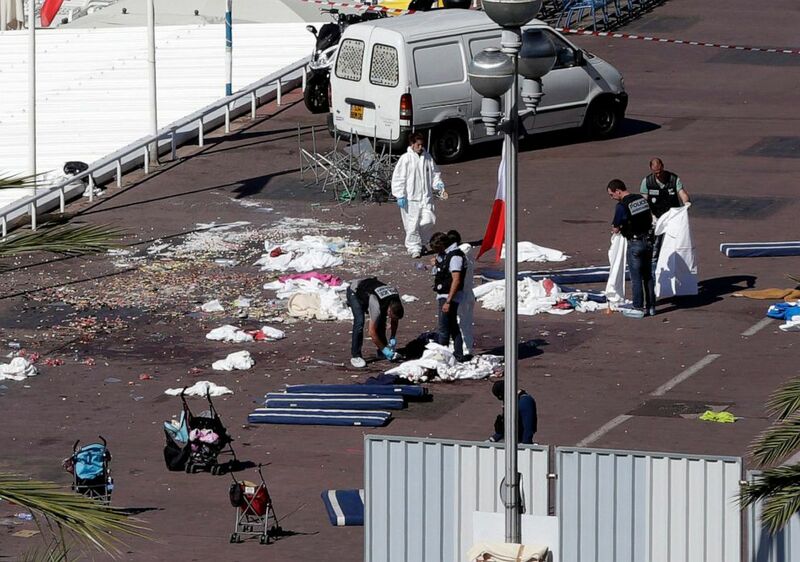 Police inspect the scene July 15, 2016, where a truck crashed into the crowd during the Bastille Day celebrations the night before in Nice, France. The Justice Department said Henry harbored "hatred" for anyone who wasn't Muslim, and he was allegedly inspired by watching terrorist propaganda videos. "He was a computer engineer by trade, and knew nothing of explosives or firearms. But he knew how to drive, and he also knew of the terrorist truck attack in Nice, France. So the defendant decided to use what was readily at his disposal and conduct a vehicular attack on a crowd of innocents," federal prosecutors said in court documents. The case began two weeks ago, when police in Alexandria, Virginia, were notified that a leased U-Haul had been stolen from a mall parking garage, according to the Justice Department. Henry allegedly left his BMW at the garage when he stole the U-Haul, pointing police to him. 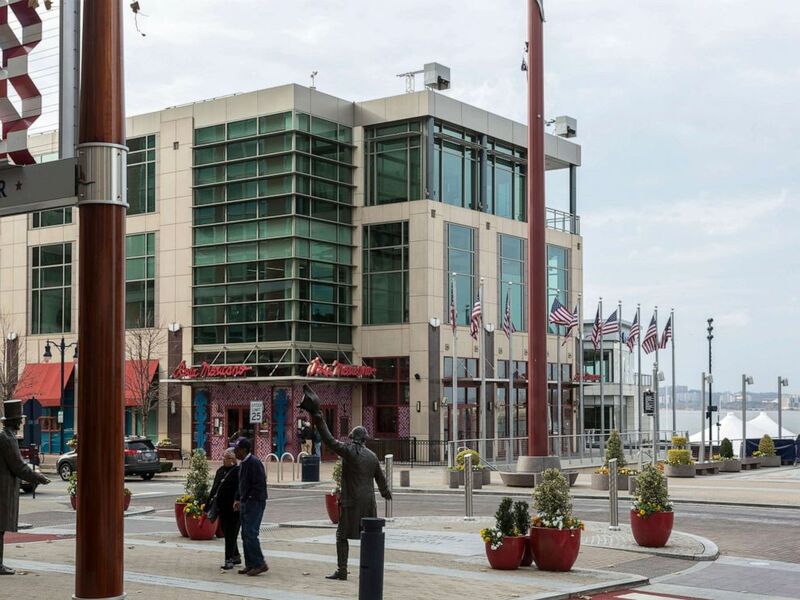 The next day, the stolen U-Haul was located at the National Harbor, and when law enforcement reviewed surveillance video of the area, they saw Henry driving the stolen U-Haul, the Justice Department said. Henry was arrested hours later, after allegedly hiding in a boat at the harbor. Henry allegedly hid in the boat to wait for bigger crowds at his chosen location -- to wait "until the time was right," authorities said in court documents. American Way and Waterfront Street at National Harbor on Dec. 5, 2017, in Oxon Hill, Md. Before driving to the harbor, however, Henry allegedly drove to Dulles International Airport and looked to launch an attack on "disbelievers" there, but he left the airport after he couldn't get past the security perimeter, the Justice Department said. As described by sources, the case did not involve a sting operation -- it was a matter of federal, state and local law enforcement working together to stop someone in the nick of time. It's a stark reminder of how the terror threat continues to evolve in the years after the Sept. 11, 2001, attacks, with extremist groups all over the world calling on followers to launch attacks in their homeland -- no matter how simple the attack might be. Henry is scheduled to appear in federal court on Tuesday for a detention hearing. "We continue to gather evidence, as well as review evidence already obtained as part of this ongoing investigation," the U.S. Attorney for Maryland, Robert Hur, said in a statement.